3, backplane "3.3 V, the input voltage 3.6 ~ 6 V, current when the unpaired about 30 ma, matching after about 10 ma, no more than 7 V input voltage! 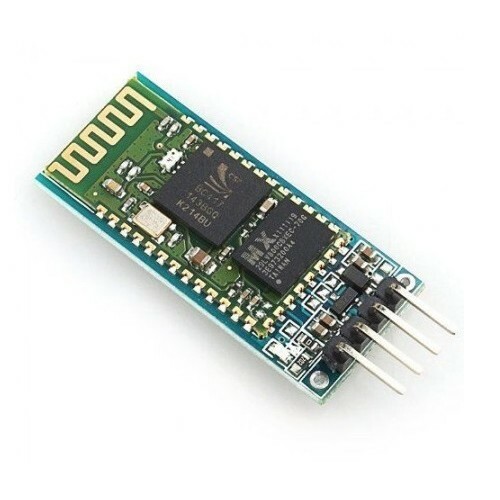 4, interface level 3.3 V, can be connected directly to all kinds of single chip microcomputer (51, AVR, PIC, ARM, MSP430, etc. ), 5 V single chip can be connected directly, without MAX232 couldn\'t through MAX232. 6, pairing when full duplex serial port to use, do not need to know any bluetooth protocol, but supports only one in the eight data bits, stop bits and parity checking the communication format, which is the most commonly used communication format, does not support other formats. 8, small size (3.57 cm * 1.52 cm), SMT factory, ensure the quality of the patch. And set transparent heat shrinkable tube, dust and beautiful, and there are some antistatic ability.